Phoenix CPR Certification - REGISTER TODAY! LOW COST CLASSES!! 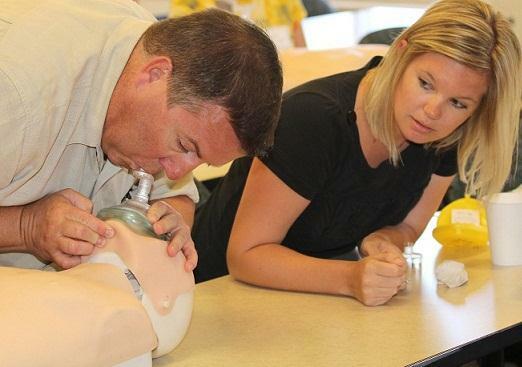 Register today for a quick & low cost CPR or First Aid Certification Course! All upcoming courses are listed and available for registration. Once you have selected your course please fill out all information on the registration page and we will send you a confirmation email with further instructions. You will also receive a courtesy confirmation phone call one business day prior to your registered course.If you are registering for an online blended course, upon successful registration, we will email you the link and the information to complete the online portion of your course. Upon successful completion of the online portion, you will be ready to meet with an instructor to complete the certification by practicing and performing your final hands on skill session. If you have questions or would like to set up your skills session please call us, 623.398.5811. American Safety & Health Institute CPR and AED is an excellent CPR and AED program designed specifically for laypeople. The program is an excellent choice for both the community and workplace setting, and is based upon the 2010 International Consensus on Cardiopulmonary Resuscitation (CPR) and Emergency Cardiovascular Care (ECC) Science with Treatment Recommendations (CoSTR) and other evidence-based treatment recommendations. A great program for individuals who do not work in the healthcare field but are occupationally required to, or desire to, have CPR knowledge and skills, such as emergency response teams in business and industry, school bus drivers, adult residential care personnel, child care workers, teachers, parents, and babysitters.